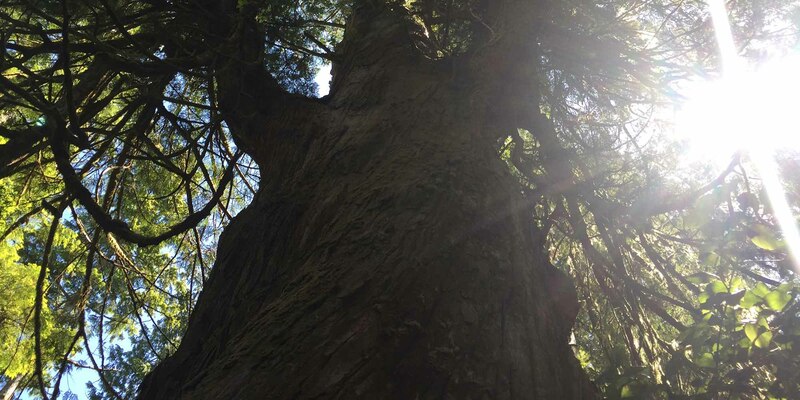 Crystal Tree Yoga, The Tree, is an inviting Yogic community that supports transformation. With a large faculty of qualified and experienced Yoga teachers coming from many different backgrounds and lineages, our students are guided through a variety of different styles of Yoga. It is our wish to share our love of Yoga, to inspire students to commit to their practice and to come together as a Sangha. We invite you to join our growing community of like-minded individuals who gather here, ready to dive deep into self-discovery and self-realization. Crystal Tree Yoga Wellness Centre. We are now offering wellness sessions in The Crystal Cave; a newly renovated, tranquil, calm, supportive sanctuary that is abundantly adorned with many gorgeous crystals right here in the lower level at The Tree! Our sessions offer various and alternative healing modalities that focus on self-care and overall wellness and wellbeing. Have you ever experienced a Crystal Healing session? Have you heard of Chromotherapy, Energy Healing, Reiki, Shamanic Support? Have you ever spent time receiving the calming, soothing vibrations from a relaxing session on an Amethyst BioMat? Curious? Book a session and try it for yourself! The Carriage House is our new Yoga Studio space! A beautiful, bright and newly renovated studio where we are excited to be bringing new programs to Crystal Tree Yoga such as pre/postnatal, mom and baby, mom and tot, children and teen, camps and programs, family Yoga, Yoga for seniors, chair Yoga and chair Nia! As our Yoga community grows, we continue to expand and grow with it to reflect the needs of our students with classes fit for all! Our schedule is ever evolving to meet these needs with new spaces and new offerings being added on! Gain knowledge on safe use of essential oils in your home, with babies and pets and how to work towards a toxin free home. The deeply relaxing, soothing and calming meditative experience of being bathed in the vibrations of sound therapy. A blissful 75 minute session with guest facilitator Loretta Langille. As perpetual learners and experiencers, we are committed to bringing the breadth and depth of ancient, traditional and modern yogic techniques and philosophies to our community of Yogis and Yoginis. For those who look to deepen their knowledge, evolve their personal practice and explore these techniques, Crystal Tree Yoga Inc. offers unique, exclusive and experiential workshops & trainings. CTY Workshops are part of the CTY AutoPay Member benefits. Our popular retreats offer the opportunity to immerse in self-care, reflection, connection and transformation. Incredible venues, delicious meals and moving sessions nurture on all levels of being. Follow this link for up and coming retreats, photo gallery and for more information. CTY Retreats are part of the CTY AutoPay Member benefits. The Treehouse is our Crystal Tree Yoga sister studio located in the country, about 25 minutes from Downtown Georgetown. The Treehouse is a small private studio where the main style of yoga shared is Sakalya Yoga with Sylvie. Classes here are clearly marked as Treehouse Studio classes on the regular schedule and online registration for classes at the Treehouse studio is required. Regular class passes can be used at The Treehouse studio. We are now offering wellness sessions in The Crystal Cave; our newly renovated, tranquil, calm, supportive sanctuary right here at The Tree! Our sessions offer various healing modalities that focus on self-care and overall wellness and wellbeing. Crystal Healing, Reiki, Energy Healing, Shamanic Support, Chromotherapy, Aromatherapy, Amethyst BioMat and more. Curious? Try a session for yourself! CTY Wellness Sessions with Sylvie are part of the CTY AutoPay Member benefits. There are MANY BENEFITS to being a CTY AutoPay Member! Unlimited regular scheduled yoga classes are only the beginning! AutoPay Members also receive discounts and full access to our exclusive CTY online video channel (Coming soon!). We are offering a collection of beautiful items for purchase. 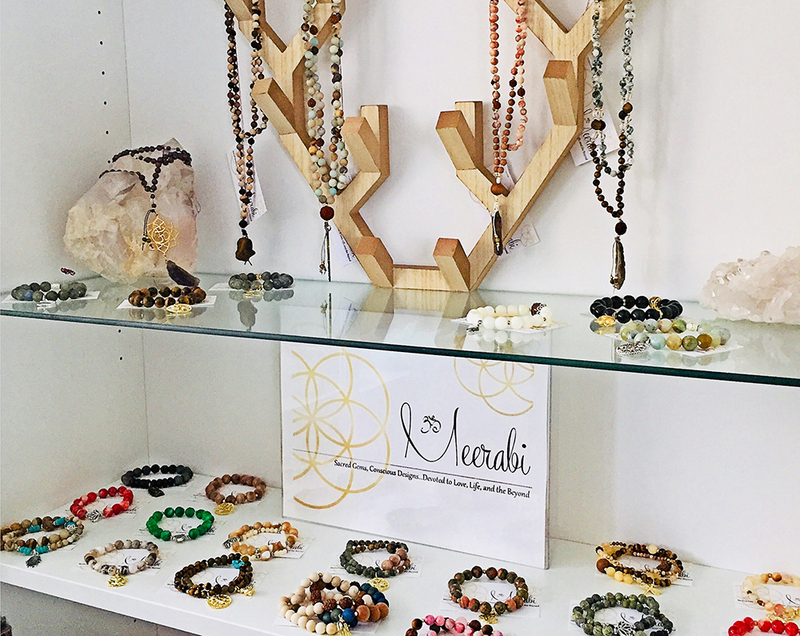 Our focus is to feature and support local artists and artisans with their Yogic inspired items. Meditation Malas, concrete creations and Yoga props and Yoga inspired apparel just to name a few. We also support our global community and have treasures from Rishkiesh India! Many regular priced Boutique items are part of the CTY AutoPay Member benefits. The Tree, our tranquil haven, is a 1,100 sq. ft Yoga Studio space located at 75 Mill Street (Upper Level), Georgetown, ON. This newly renovated space in a century home features laminate wood flooring, integrated sound, central air and free parking close by. High ceilings, skylights and windows create a well-lit, airy space for yoga sessions, meditation, workshops, meetings, healing arts, seminars, events and more. NEW! We are also introducing The Crystal Cave, our 1,100 sq. ft Wellness Centre located right here at The Tree, at 75 Mill Street (Lower Level), Georgetown, ON. A wonderful serene space perfect for healing arts & treatments. The space is bright, warm and welcoming, featuring a large reception area, a fully equipped Yoga space with the capacity for 11 people, a treatment room complete with massage table, desk and chair, full kitchen area and 3 pc washroom. Contact info@crystaltreeyoga.com for more information on renting these 2 unique spaces.